A Giant Thank You to Jack Huang, CEO of the Douzo, Basho and ShabuMaru Restaurants in Boston, who sent Kevin Wery and Cindy Laney of Catering to You!, to decorate our meeting space for the holidays! It is absolutely beautiful and so welcoming to our support group members. Jack Huang and Nan, supporters of Hope and Friendship MBCF. To all Federal Employees, please consider a pledge to the Hope and Friendship Metastatic Breast Cancer Foundation! We are #98634 listed as: “Breast Cancer Foundation”. Thank you! 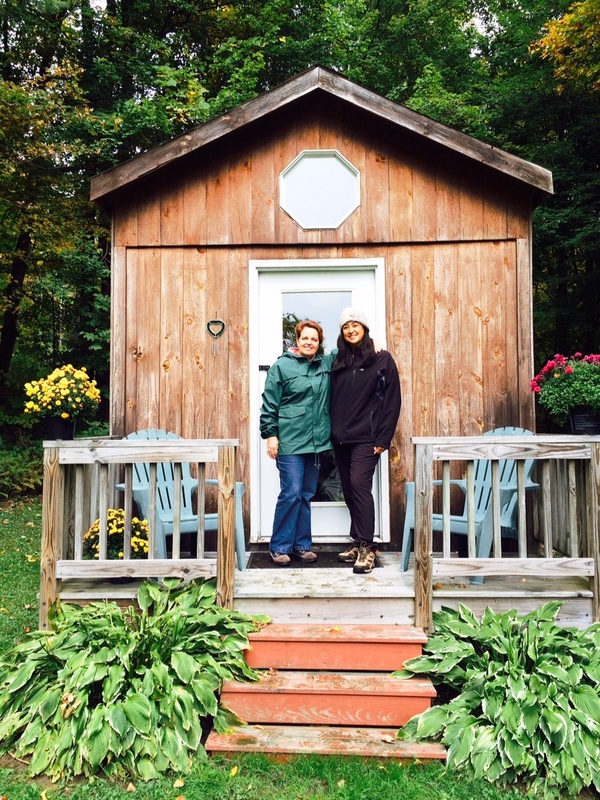 One of our beloveds, Chris, always told us to go to the Betty J. Borry Retreat, and we did! It was definitely awe-inspiring and wonderful. Thank you to our beloved friend for her encouragement! Her many Betty J. Borry friends made a lovely memorial quilt in her honor from her quilt patch selections. Our beloveds, their families and friends are never forgotten. The Pink Games on October 20, 2015 at Wilmington High School! Stoneham vs. Wilmington to Support the Hope & Friendship MBCF! What a blast! Thank you! Hope & Friendship Receives 100 for $100K Grant from Cummings Foundation in the Form of a 10 Year Lease for our Support Group Meetings and More in Wilmington, MA! Hope & Friendship Receives Risa S. Rosengard Grant 2015! The Risa S. Rosengard Foundation is a non-profit, volunteer organization dedicated to helping children and their families cope with the devastating effects of a life-threatening illness and bereavement. The mission of the Foundation is to provide grants to 501(c)(3) organizations for programs that support families going through or recovering from an illness, or grieving the loss of a family member. The vision of The Risa S. Rosengard Foundation is that no child or family member should go through these dark times feeling alone or helpless. Through our support, families have access to the critical services they need during this difficult time. The foundation provides grants to organizations that are offering new, cutting-edge programs and services that help families and children coping with cancer or bereavement in a way that fits their individual situation. Please visit: risarosengardfoundation.org to learn more. With the receipt of the Risa S. Rosengard Grant, the foundation can now expand the programs offered to children, families and caregivers. Currently underway is the children/family/caregiver chaplaincy and bereavement program which has been well-received by families. A Giant Thank You for a generous donation to Hope and Friendship from the North Shore Navigators Pink Angels Baseball Game 2015! Thank you to Flatbread Company Bedford, MA, and Family, Friends and Supporters for a Fun Night in 2015! Ogunquit Retreat, Saturday, June 13th, 2015. Our beloved sunbeam was with us. Overnight Retreat in Ogunquit, Maine, June 2015.